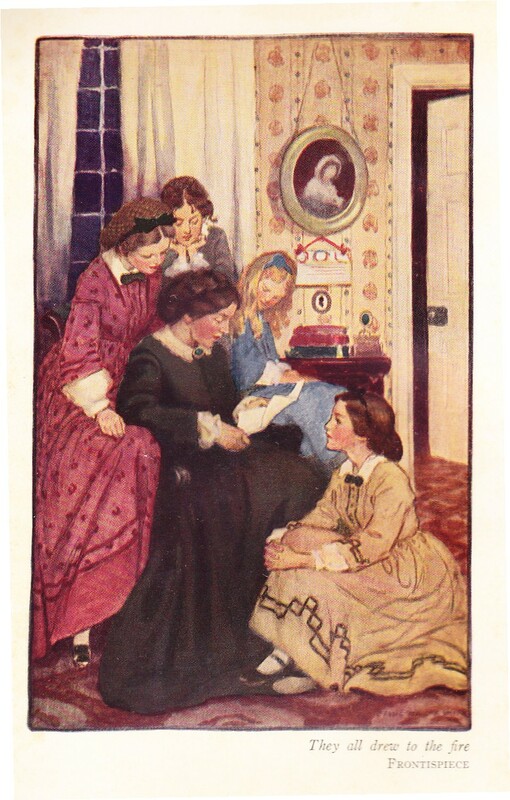 Little Women – Feminist Novel? 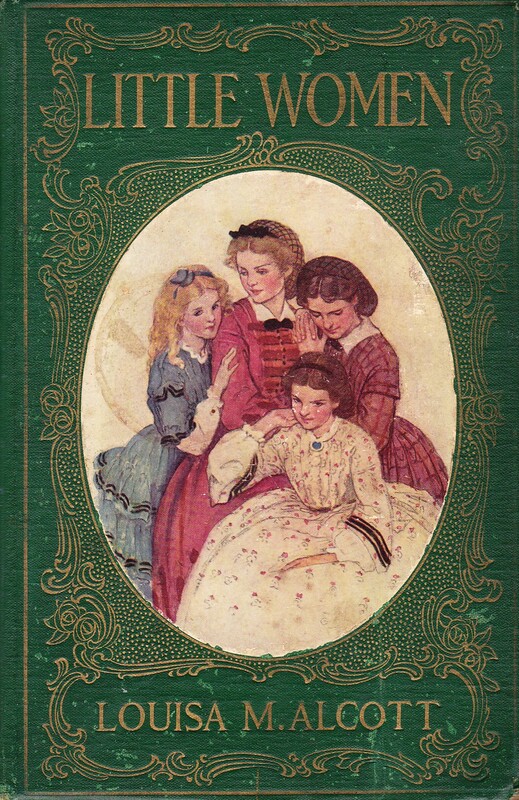 I would like to open the discussion of Little Women, Louisa May Alcott’s 1868 novel for girls, with a proposition. Some readers find in the book a feminist message of independence and self-expression, while others find a message of social conformity. So which is it – a liberating view of female possibilities or an imposition of community expectations? My proposition is that Little Women delivers both messages. The tension between them is what makes the book so real and so memorable. Let’s start with the conformity message. In Little Women, Mr. March is the absent father, leaving the four sisters and their mother to fend for themselves while he serves as a military chaplain in the Civil War. His presence is strongly felt, however, as he presses for the girls to grow up in accordance with his ideals. After she publishes her first story, Jo does not reject her family role, but desires to be independent within it, to support those she loves as – dare we say it! – a boy would have been expected to do. Jo’s breath gave out here; and, wrapping her head in the paper, she dedewed her little story with a few natural tears; for to be independent, and earn the praise of those she loved were the dearest wishes of her heart, and this seemed to be the first step toward that happy end. 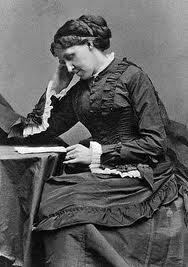 By the time she wrote Little Women in 1868, Louisa May Alcott was establishing herself as a professional writer. Like Jo, she wanted to support her chronically-needy family, by any honest means. She did, in fact, try various jobs including teaching, sewing and serving as a paid companion. Writing paid best, besides being satisfying in other ways. She wrote plays, poetry, short stories, thrillers, and an account of her nursing experiences in a Civil War hospital – whatever would sell. Her greatest affection was for her “adult” novels, such as Moods, with their emphasis of emotional states and high romance. She wrote Little Women on assignment so, rather than trying to move the reader as in Moods, she told the story, as in Hospital Sketches. When the story is told – drawing on her own experiences growing up with three sisters in the poor but worthy Alcott family – her true values are expressed in the story itself and the choices she made in telling it. People talk like that. These are real girls, not models of perfection. Whatever your concept of feminism may be, for me it is the belief that women define their own natures; they are not defined for them by the male half of humanity. If women are entirely noble and good or entirely evil and dangerous, that is a patriarchal construct which separates females from the rest of the human race where everyone is a mixture of good and bad characteristics. Jo does want to make money for her family, but she also knows that with money comes power, and she wants that too. …Jo was satisfied with the investment of her prize money, and fell to work with a cheery spirit, bent on earning more of those delightful checks. She did earn several that year, and began to feel herself a power in the house…. Jo enjoyed a taste of this satisfaction, and ceased to envy richer girls, taking great comfort in the knowledge that she could supply her own wants, and need ask no one for a penny. She also has ambition for herself, for her own sake. This is important because so often, in stories about girls or biographies of women, their accomplishments are portrayed as done entirely for the sake of others, to fulfill a helper role. Jo does not reject being a helper, but she also wants her own satisfactions and achievements. Within the realities of 19th-century life, Jo gets them. She rejects the suitor she does not love, she leaves home to support herself, she sells her stories, she writes a good book, and, finally, she does marry, but it is an unconventional union which enables her to become the manager of a school. Which is the stronger message within Little Women – conformity or independence? What other messages to you find there? What are the roles of Marmee and of Jo’s sisters? Do they support or deny feminist values? I’m looking forward to seeing everyone’s thoughts on this book! By the way, who here grew up reading Little Women, and who did not? Did the movie (long ago now) get you to read it? I always avoided anything labeled a ‘classic,’ especially anything American, so I only read LW when I was 19 and a friend found out that I’d never read it. She gave me the copy I still have. I read it for the first time when I was quite young, but have reread it several times over the years. I once used it in a course on children’s literature, where most of my students were grandmothers. All had read it while young, and all had received a feminist message from it. Of course it is impossible to read it now — whether for the first time or not — and interpret it as a girl would have in 1868. One of my favourite books of all time. I read and reread this book when I was young and then reread it when I completed a Graduate Diploma of Women’s Studies. Louisa May Alcott is listed in Dictionaries of Feminists and was certainly a woman ahead of her time. I certainly admired Jo and her independent streak when I was young so I am sure she had an influence on my thinking long before I had heard the word “feminist”! Your discussion of Alcott and Little women is excellent. I think the tension you describe between independent self-fulfilment and conformity is a big part of why the book has touched so many of us over the years. So many of us have felt that and like Jo, put it down. Yet I have trouble thinking of this book as feminist. In fact, I see few books, even among those I love as feminist, other than a few fantasy ones. Jo’s rebellion is too limited, too personal, and too quickly relinquished. It has none of the concern for women of all races and classes that we discussed with belle hooks. I hate to limit feminism, but if we don’t have a few boundaries we become too diluted to have an impact. Apologies for having been out of blogging last month and just now commenting. I’m using this article in a paper I’m doing on gender roles in Little Women. If the author would like to not be anonymous please email me with your name and I’ll cite you as such 🙂 Wonderful article!